I have long been fond of trees. I grew up in a small town in southwestern Quebec, and spent my summers at a cottage on a bay of the St. Lawrence River, fondly referred to as “The Lake”; that’s where I developed my love for long walks in the woods. After my husband died in 2006, I got homesick for the country and trees not always planted by human hands. Almost five years ago now, I found my current home in the Central Alberta hamlet of Mirror where, I like to say, all the streets end in trees. 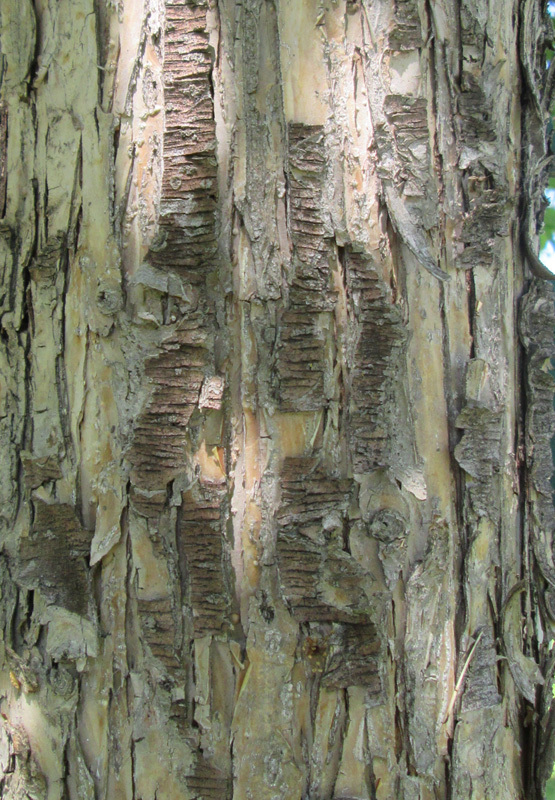 It seemed only natural to do a texture piece inspired by tree bark. For this piece I studied one of the ornamental fruit trees in my back garden, and turned to “Trees as a Theme” by Jan Beaney and Jean Littlejohn for guidance. 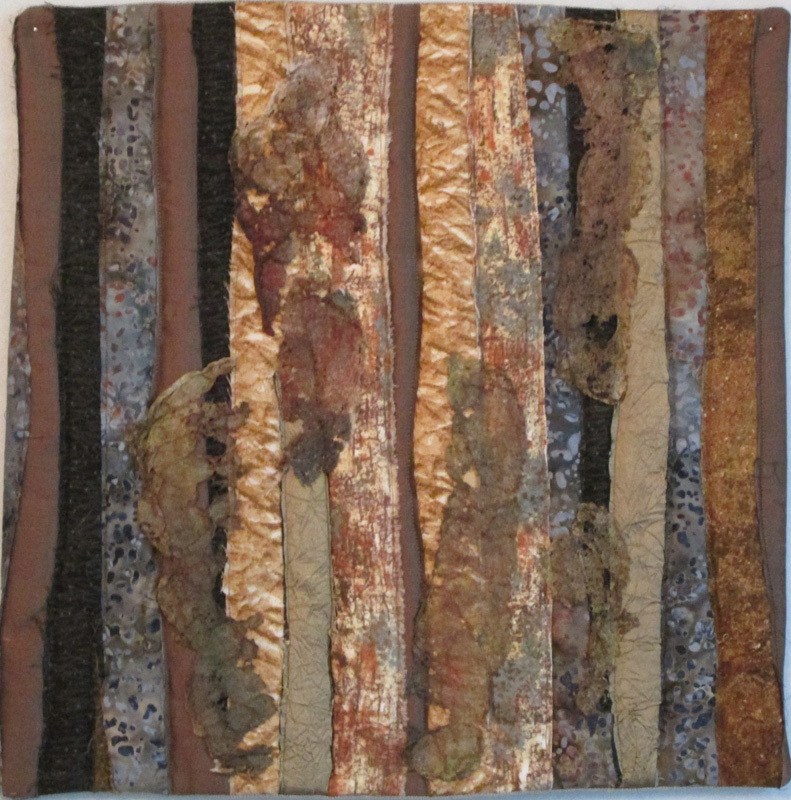 This piece is constructed of randomly-cut strips of assorted fabric, both commercial cotton and drapery synthetics, fused to a muslin background, sandwiched with wool batting and quilted very simply along the edges of each strip. 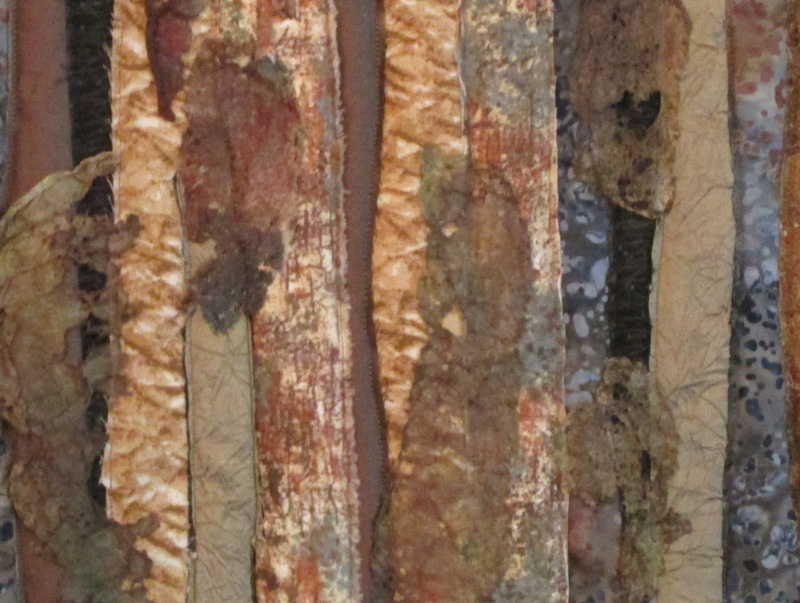 Once quilted, I decided to add additional texture to reflect some of the fungus growing on the bark of that tree. For this, I painted used dryer sheets (fabric softener sheets), and distressed them with a heat gun. 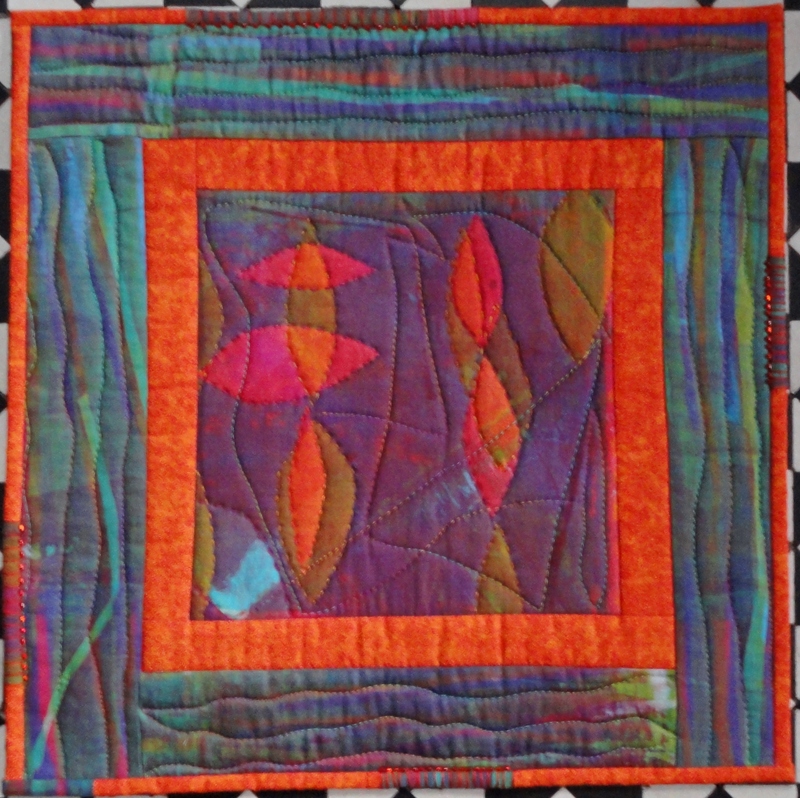 Because I thought they might be fragile with too much manipulation, I faced the quilt prior to attaching the distressed material to the surface of the quilt, using cotton embroidery floss that matched the colour of the sheets so as to blend in. This is my first study of this type; it has inspired me to explore more techniques to create textures mimicking the bark of other trees in my yard. Yes, a series is being born!